Bunya publishing’s Prem Rawat Project New website launched! They say “An ideal book to give as a gift”. 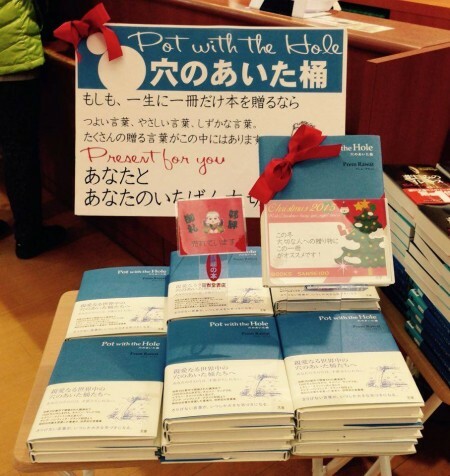 Many book stores across Japan are now placing ‘Splitting the Arrow’ prominently, with multiple copies and a pop up display. 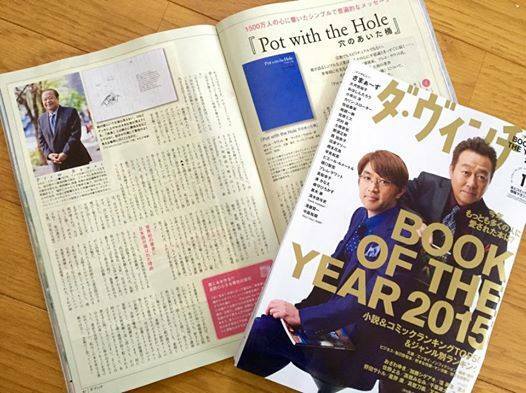 Japans premier book magazine ‘Da Vinci’(2016/12/4) released their ‘Books of the year 2015’ selection. This issue also included a two page article on the book and an interview with the Author Prem Rawat. How can we get in touch with that innate need to be fulfilled? You need to understand the power of choice. When you wake up in the morning, think about how you can make today a little more beautiful. Don’t just think about all the things you have to get done and how difficult that day is going to be. Even if it looks similar to the other days, it’s not. You can choose to spend that day in peace with yourself. ‘When I first listened to Prem,’ says Mr Kinoshita (President of Bunya publishing) , ‘I felt his words were of great importance. I felt that Prem’s message would touch people from all walks of life, be they a businessman or a housewife”. “Brava, A wonderful book for Mum and the kids full of great stories you can enjoy as a family”.